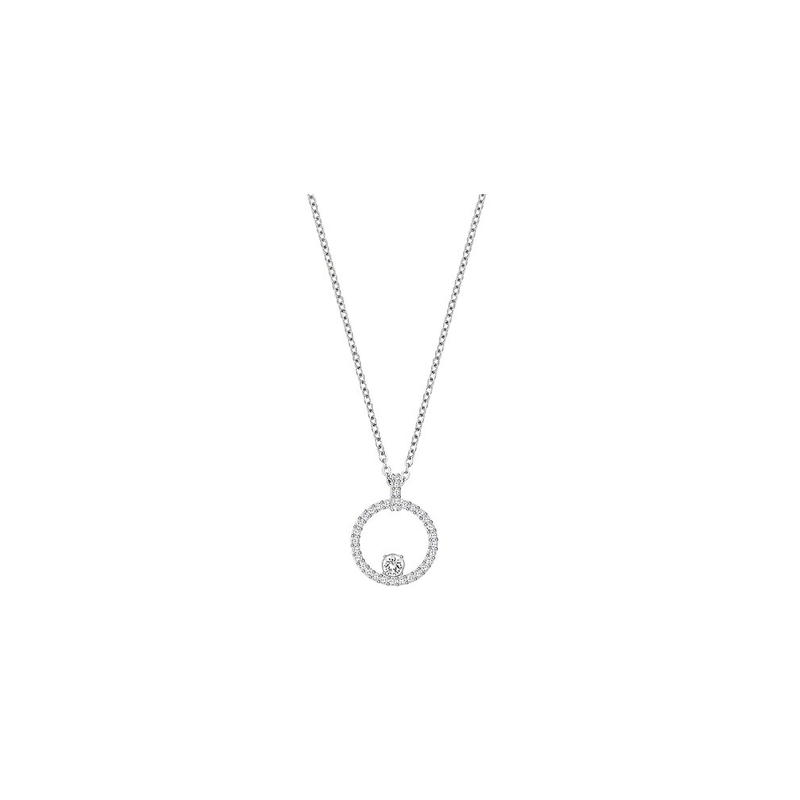 This dainty little necklace is pure pared back chic. We love the delicate hoop with solitary Swarovski Crystal hanging from a graceful chain. This beautiful necklace is sure to add glamour to your everyday look. Why not layer with longer chains for a contemporary look.